NSYNC #1 FAN BARBIE DOLL! 2 rare "on Tour" Collector Cards. New Barbie is in her sealed box. Barbie loves Justin Timberlake & Joey Fatone! 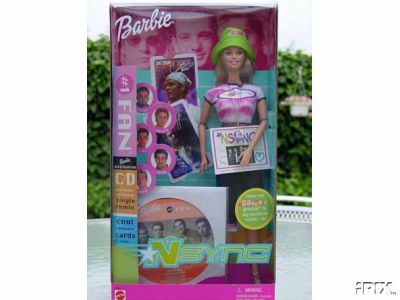 Items Similar To "NSYNC CD & Barbie #1 Fan~Justin Timberlake~Joey Fatone "